Those of you who have been working in the food industry would know that there will come a time when people are going to require your services. This can be anything from having food delivered for a special event such as a wedding or the need for your company to provide catering services to parties like someone’s birthday. Either way, you cannot just provide your services unless both parties can come into agreement on what will be provided, how these services are going to be compensated, and more. 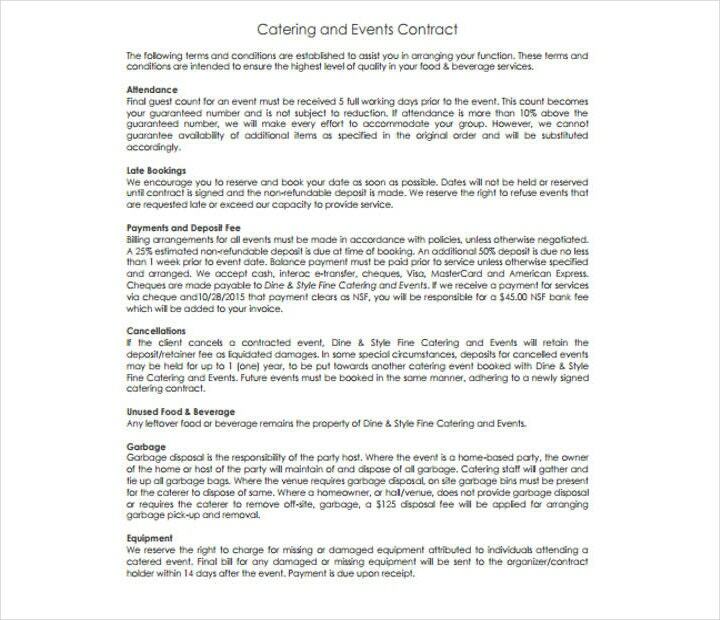 And this is why there are food service contracts to ensure that both parties are under agreement regarding the type of food service that will be provided. 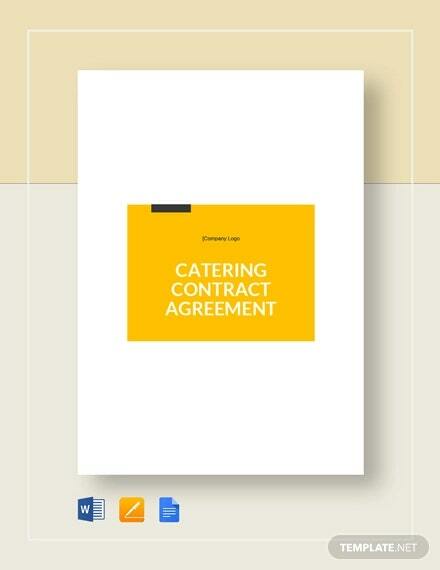 The reason why a contract would be agreeable to both sides would usually be because considerable thought as well as analysis has gone into the process of selecting a proper food service contractor. 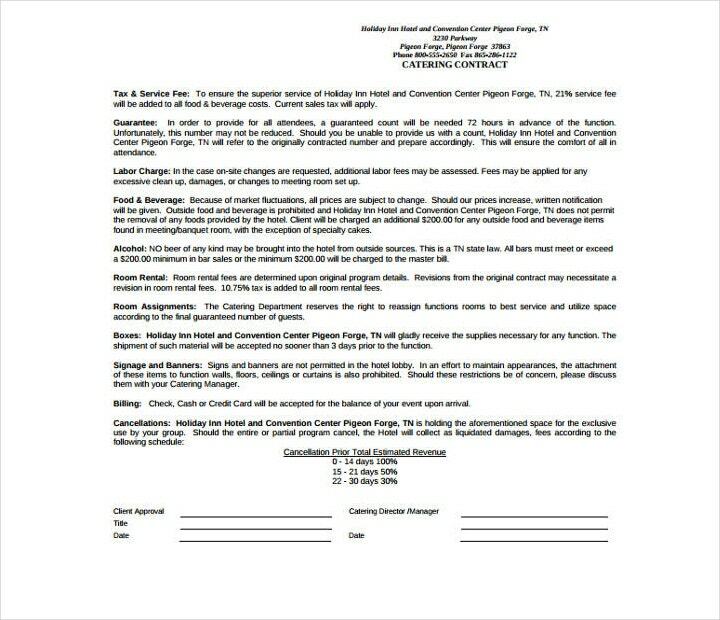 This is critical for the people or the institution that desires to place a food service contractor on its premises. This is also just as critical for those companies who are in the business of providing these food services on a contractual basis. The food service department is a critical area in just about every organization. It is intended as a service for customers and these customers can be anyone from employees, tourists, patients, visitors, or even inmates. How these people view the food service program will have an impact on their overall thoughts and opinions regarding the company that provided them with the service. Since companies and institutions want to be viewed in the best possible light, it follows that each function of the food service process plays an important role and none of them should ever be disregarded. There are two basic methods that are utilized by every organization that is in the business of providing food services. There are those that hire and retain their own food service staff. Many of these so-called “self op” organizations produce a highly satisfactory service for their institutions, ensuring customer satisfaction that will help push them to success. Their managers and employees are all skilled and dedicated, and they are also able to deliver more than acceptable products at the right amount of cost. 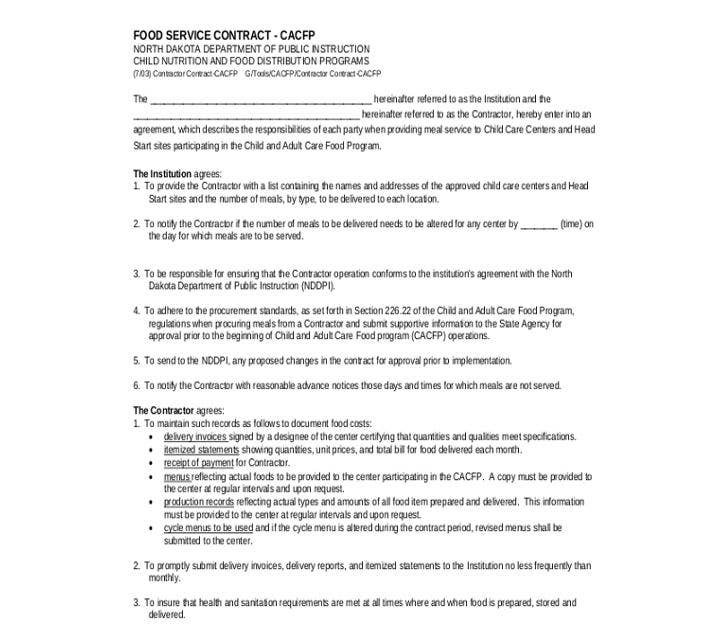 The other method utilized by many organizations involves signing an operating contract with an outside firm (contractor) that specializes in food service operations. 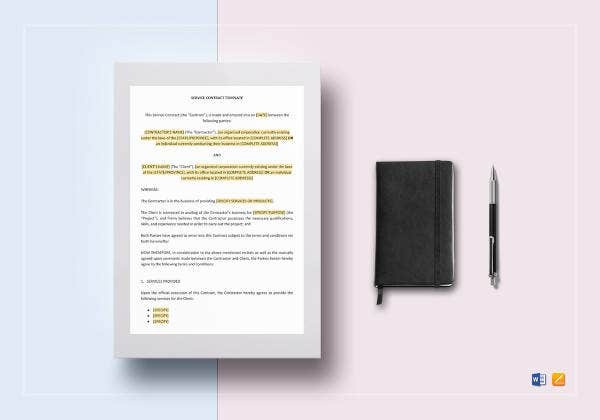 When this approach to contracting is taken before and after signing a formal agreement, then there is a better chance that both parties are going to have significant gains during the entire process. This is what a lot of people call a “win-win” situation and this simply means that each party to a contract stands to benefit from it and everyone comes out as a winner in the end. 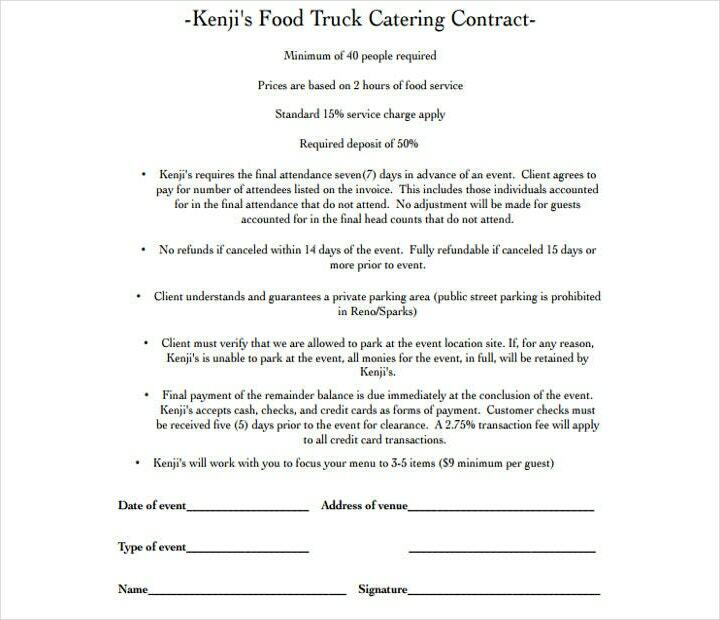 More importantly, when a food service contract is properly negotiated and administered by both parties, there is also another winner that stands to benefit from all this, and that is the customer who is being provided for. And whenever the customer is happy, then you know that everyone won and that the service is complete. Nobody is going to be successful if they do not come up with a well-made and organized plan that they can and should follow. This is especially important for those in the food industry during the process of negotiating with a food service contractor. In this particular situation, the starting point for a plan is to recognize both the wants and the needs of the food service contractor. You have to do a careful analysis of the present or intended food service program. 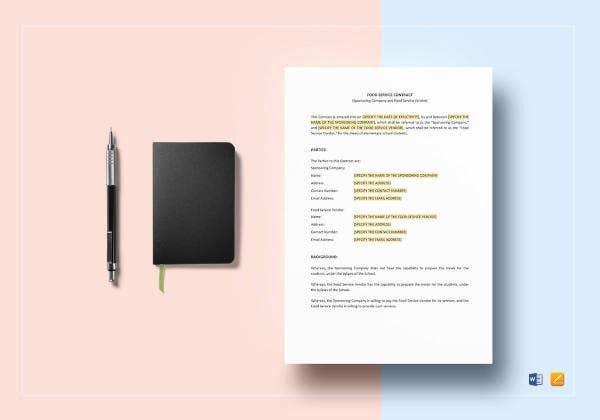 The person or persons who are in charge of conducting the analysis of the needs of an institution before requesting proposals from contractors must be both skillful and experienced when it comes to handling this type of situation. There is a possibility that an institution will be experiencing high labor costs and that management may not realize that they have imposed difficult demands on food services with policy decisions pertaining to service hours or even budget constraints. It is a fact that those who are in charge of preparing the food are going to need the right kind of equipment. Food service managers are not always able to convey these needs to the proper authorities, and this usually results in them being blamed for not meeting the needs of both staff members and customers. 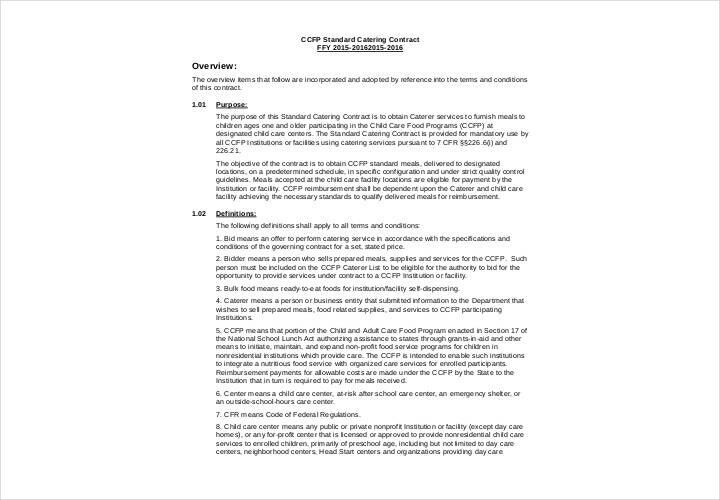 The food service department may have problems when it comes to controlling costs and expenses. This may be because there is nobody with the proper authority who can institute cost control. A poor organization plan will usually result in the shortage of supervision during a critical service period. This can only mean that there may be problems that cannot be addressed in a timely manner due to the fact that the number of people in charge of certain tasks is not enough. 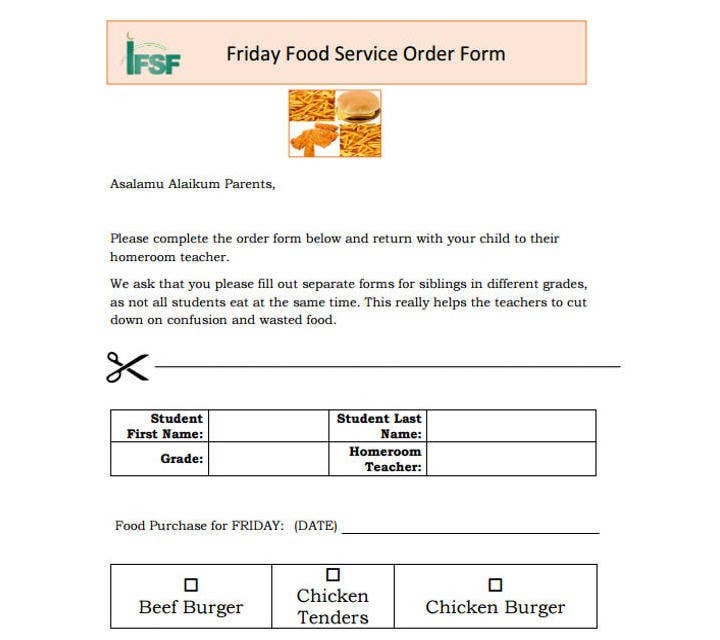 After completing the analysis of these operations, the institution’s management will have all the information needed in order to make a decision relative to the contracting of its food service programs. Sometimes, the analysis will indicate internal administrative or management problems that can and should be directed, thereby removing the possibility of the need for a contractor. In any case, the institution’s management should never make a decision to contract a food service provider without doing a thorough analysis of the present situation. Unfortunately, this is not always the case and food service contractors are often called in to bid before any study has been made by the institution. There are some institutions that are able to absorb losses when it comes to food service. However, food service contractors cannot do so. They are in the business because they are the ones who have to make a profit. While there are some service contracts that may produce higher revenue than others, the total of all contracts must be profitable. So before entering into any contractual agreement with an institution, the efficiently managed food service organization will have to carefully analyze the prospective client. 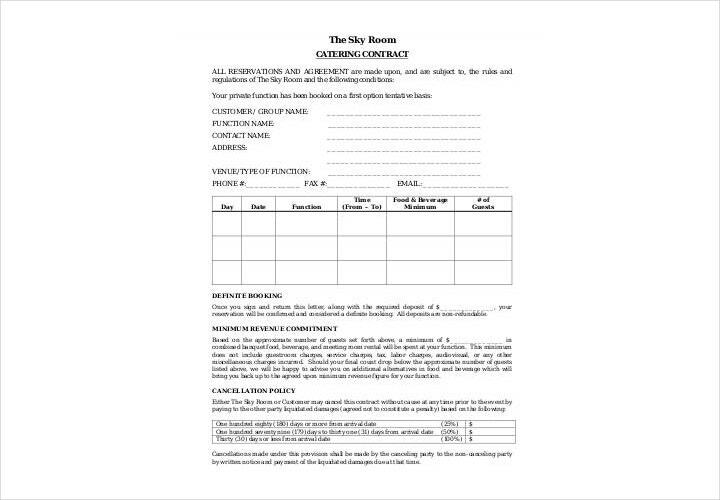 Contractors usually refer to this kind of exercise as a survey. 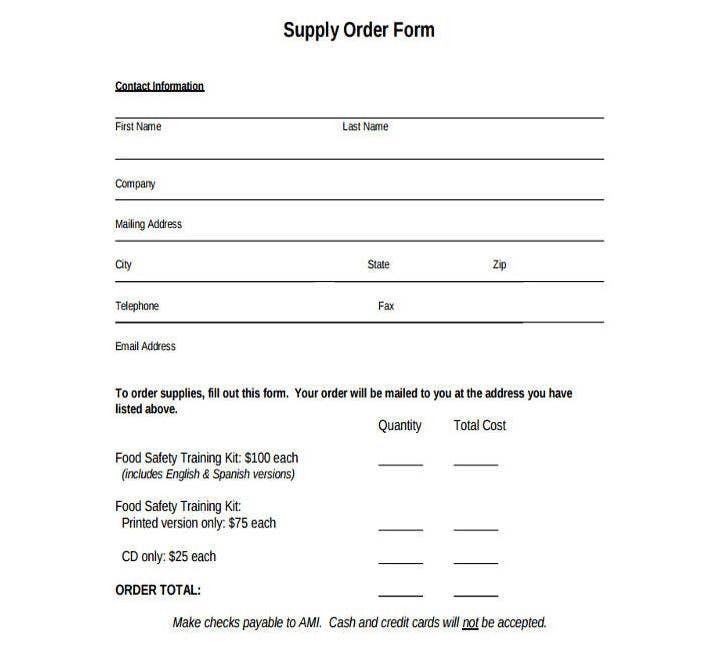 This survey is done so that the food service contractor will be able to see all of the benefits if ever they decide to sign the contract. The final decision is determined by the contractors themselves as they are the ones who get to choose whether they can provide the service that is being requested. Proposals not addressing the conditions or the problems that were found during the operation analysis. For example, the analysis may have shown that the equipment being used by the kitchen staff has become obsolete or are constantly malfunctioning. It is important that this situation be seen to immediately, but the institution itself does not have the necessary funds in order to fix this problem. If this is the case and this situation is not addressed in the RFP, then it will not become part of the submitted proposals. Proposals not being balanced when it comes to content. For example, one might focus more on management over the staff while failing to look into other important factors such as cost control and supply leverages. It is important to have a good balance of everything as focusing on only one aspect will ultimately make the proposal ineffective. The evaluation of each proposal being impossible due to the lack of guidelines for preparing the proposal’s assessment. For example, when an RFP does not include instructions for documenting stated labor cost by including job analyses, the bid is most likely going to contain very low or “low ball” offers that cannot be properly evaluated against other proposals. The final outcome may be a contract that both parties are not exactly going to be happy with due to its undesirability. For example, the case of an RFP not spelling out the janitorial duties by area will result in an ongoing contract dispute over cleaning responsibility and the cost of labor for both sides. The final result of this will then be unsightly areas that the customer will not appreciate at all. 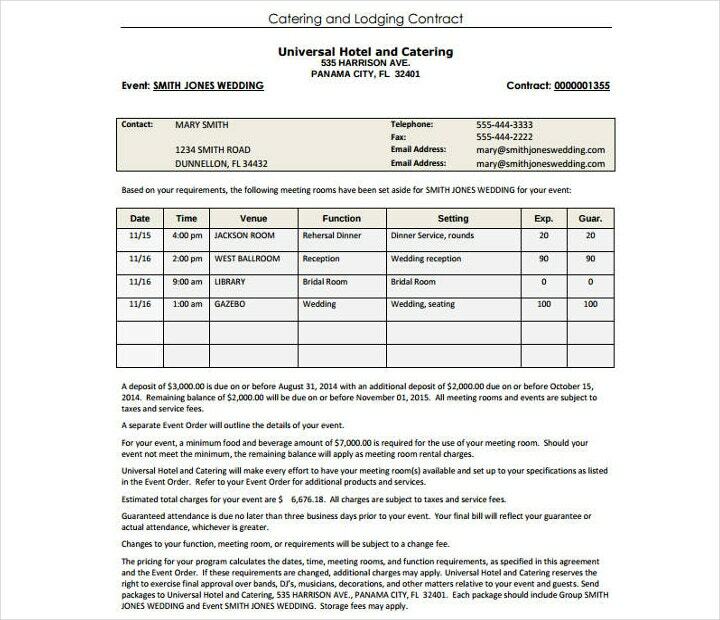 Food service contractors often encounter great difficulty when it comes to finding out what a customer or institution expects from the food service contract. Instead of being open and factual during the pre-bid and bidding stages, there are some institutional executives that might just withhold certain facts and information that could be very critical when it comes to creating a contract that is satisfactory for both sides. The contractors must be skilled enough to create a proposal where both parties are going to be happy with the outcome since both will benefit from it. 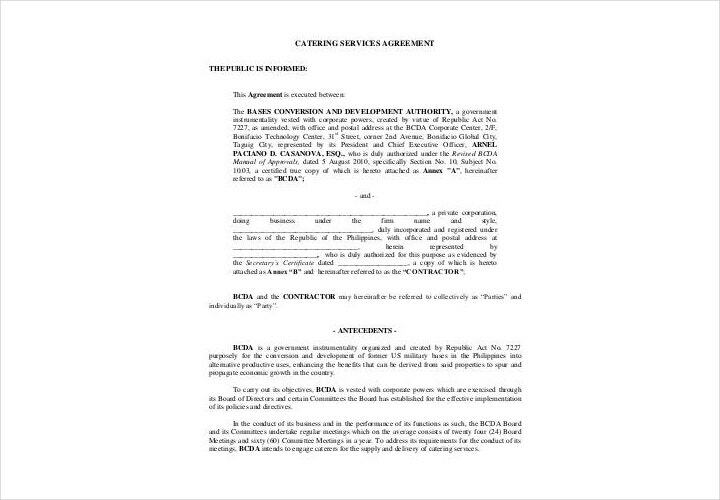 For this reason, it behooves the contractor to encourage institutions to properly prepare for the bidding of services. Most of these contractors have people who are skilled enough and who have participated in surveys that will give them an idea of the necessary facts that they can uncover. Smaller contractors do not always have this capacity to put sellable proposals together. At the same time, this same inability to recognize these problems may just end up with”low ball” offers that will not be able to produce satisfactory contracts. However, this does not mean that “small” contractors cannot provide customers with satisfactory service. On the contrary, large contractors often suffer from inflexibility when it comes to providing services. Larger contractors may be slow to follow requests as well as react to change due to the heavy administrative costs and structured debt. Smaller companies may not have this inflexibility and they will most likely provide excellent service depending on whether or not they are given a good contract to work with. There are lot of ways that food managers can manage the costs of their services. 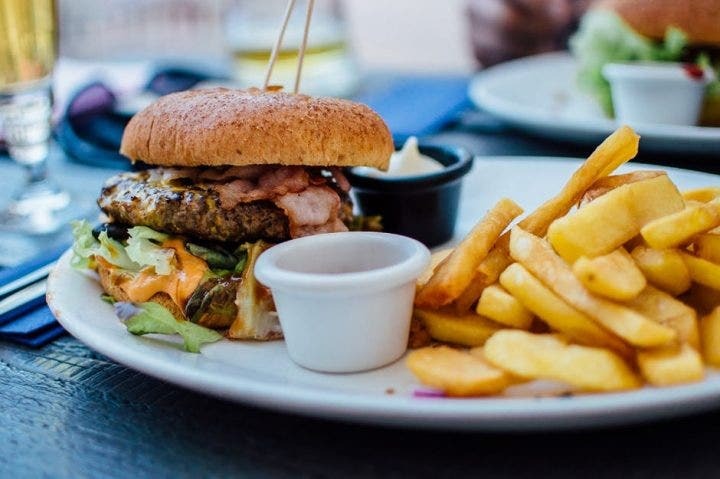 So here are some suggestions that should help you manage your own food service costs should someone procure your services. Stop trying to use disposable utensils. If you are concerned customers will throw away utensils, then you can always put a bucket of soapy water right next to the trash bin. Try to make use of the same product in multiple ways. Using the same product for different recipes is one of the best ways to cut down on inventory as well as reduce waste. Keep good production records. This will help you determine how many servings to prepare whenever your company is given an order to provide food services. If you are going to make use of expensive products, you have to incorporate them into your restaurant menu as smartly as possible. If you are considering using this new item, you have to take into account how many customers are going to like it. Reduce portions and unhealthy selections. If you operate a buffet line or an all-you-can-eat operation, it is best that you do not offer trays. Trays might just give the people an incentive to take more food than they can actually hope to finish. This will just end up driving up the costs for institutional food service. You should always plan your menus in advance, and tailor your orders carefully to those menus. This way, you can give the customer a clear idea of what you are going to be serving and help make it easier for them to make the choice as to whether or not they would like to procure your services. Give your staff all of the necessary training so that productivity is going to increase. Make sure that you also give them all the tools necessary to prepare the dishes in your menu, as well as show them the respect that they deserve so that they will do a good job. Find ways to build relationships between your staff and the customers. This is so that your staff will feel more connected to the institution as well as feel more ownership of their roles. 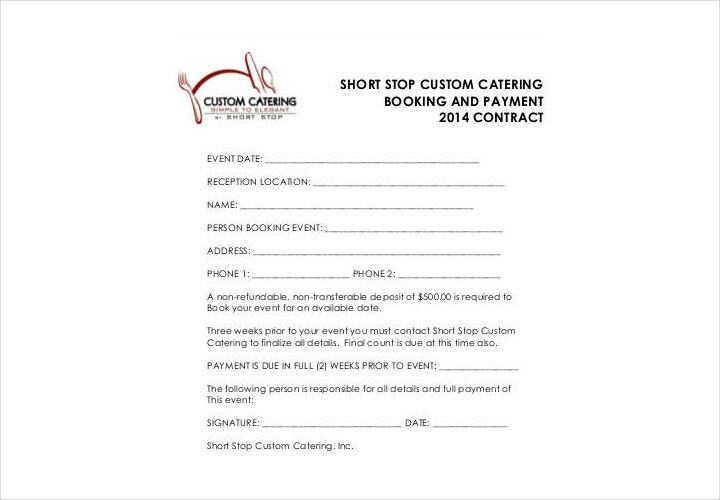 With all the tips we have listed here, do you think you are now ready to negotiate your own food service contract?